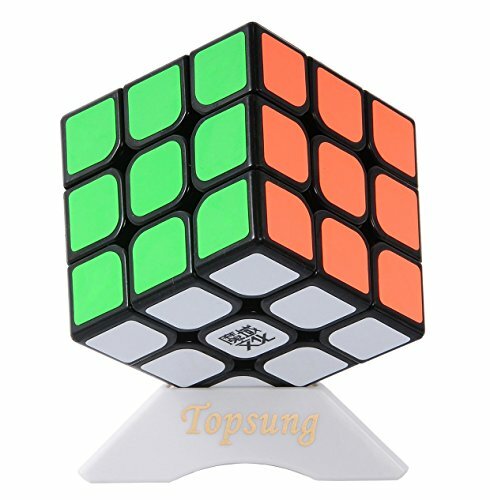 - Easy Learning - Match-specific 3x3 Speed Magic cube is already super-fast without any extra turning - even if you're a beginner. - Activate Your Imagination and Creativity - Enjoy this puzzle cube to improve your memory and hand flexibility, more fun and function, perfect for testing your mental skills and challenging your patience. - Perfect Design - Improved anti-pop technology and structure for extremely fast and smooth cornering, durable, pre-lubricated, lightweight, and adjustable spring. - Green and Eco - Safe and reliable, Made of durable, carbon fiber stickers and environmentally friendly ABS plastic material. - Perfect Gift - It is an excellent gift (Christmas, Thanksgiving, Halloween, New Year's Day etc.) for every occasion, brithday gift for kids, friends, family memebers, beginners, and professional.